From the minute the sun rises over the Sonoran Desert long after it sets, Scottsdale offers thrilling options for things to see and do. From outdoor adventures and championship golf to upscale shopping and spa treatments, Scottsdale days can be as active or relaxed as you’d like. And after dark, every hour is happy hour, especially in downtown where more than 80 restaurants, clubs and lounges await. Scottsdale is a city in the eastern part of Maricopa County, Arizona, adjacent to the Greater Phoenix Area. The New York Times described downtown Scottsdale as “a desert version of Miami’s South Beach” and as having “plenty of late night partying and a buzzing hotel scene”. Its slogan is “The West’s Most Western Town”. The city is located in the Salt River Valley, or the, “Valley of the Sun”, in the northern reaches of the Sonoran Desert. Scottsdale, 31 miles long and 11.4 miles wide at its widest point, shares boundaries with many other municipalities and entities. On the west, Scottsdale is bordered by Phoenix, Paradise Valley, and unincorporated Maricopa County land. Carefree is also located along the eastern boundary, as well as sharing Scottsdale’s northern boundary with the Tonto National Forest. To the south Scottsdale is bordered by Tempe. The southern boundary is also occupied by the Salt River Pima-Maricopa Indian Community, which also extends along the Eastern boundary, which also borders Fountain Hills, the McDowell Mountain Regional Park and more unincorporated Maricopa County land. According to the United States Census Bureau, the city has a total area of 184.4 square miles (478 km2). 184.2 square miles (477 km2) of it is land and 0.2 square miles (0.52 km2) of it (0.12%) is water. Scottsdale’s climate is arid. Winters are mild and summers are extremely hot. The lowest temperature ever recorded in the city is 19.0 °F (−7.2 °C), on February 20, 1955, and the highest temperature ever recorded was 119 °F (48 °C), on June 26, 1972. There are many shopping areas within the city of Scottsdale, ranging from small districts to large centers. The most notable regional centers include the Kierland Commons in North Scottsdale, and the Scottsdale Fashion Square in Downtown Scottsdale, a major destination for high-end retailers. These shopping centers in Scottsdale claim dozens of marquee brands that are unique to both Phoenix and the Southwestern region. At nearly 2 million square feet, the Scottsdale Fashion Square is routinely ranked as one of the most profitable shopping malls per square foot in the Southwest United States. The center is anchored by Nordstrom, Macy’s, Neiman Marcus, Dillard’s, and Barneys New York department store. The center is also home to retailers Armani Exchange, Burberry, Hugo Boss, Kate Spade, Gucci, Louis Vuitton, L’Occitane en Provence, Tourneau, Swarovski, Juicy Couture, GUESS, Tiffany and Co., Ferragamo, Michael Kors, Jimmy Choo, Cartier, Abercrombie and fitch, Lucky Brand Jeans, Ed Hardy, Prada, Steve Madden, Marciano, Carolina Herrera, Bvlgari, Bottega Veneta, Lacoste and Kenneth Cole among hundreds of others. The center’s Tiffany and Co. store, in particular, reported that over the past few years this location earned one of the company’s highest sales figures per square foot in the United States. The city currently has three additional shopping complexes planned or under construction – Scottsdale Quarter, Palmeraie and One Scottsdale – all of which will be located in North Scottsdale. The city also plays host to the annual Scottsdale Fashion Week each November. The event routinely features runway shows from influential local, national and international designers, most recently and notably, Kate Spade, St. John, Betsey Johnson, and Façonnable. Named by The New York Times as one of the “hippest and most happening” places in the country, Scottsdale is home to a variety of high-end nightclubs, restaurants, hotels, lounges and bars. 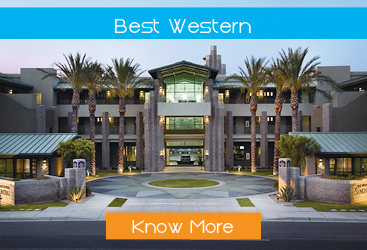 Over the past decade in particular, these establishments have grown in great numbers, many catering to a more “young, fashion-conscious crowd.” This is evident by the growing number of trendy, style-conscious hotels that have opened up throughout Downtown Scottsdale which equally cater to the nightlife crowds. Most notably, the Morgan Hotel Group’s all-white Mondrian Hotel (which went out of business), the FireSky Resort & Spa, the independent mid-century Hotel Valley Ho and the W Hotel. The majority of nightlife is concentrated in Downtown Scottsdale, between Camelback and Osborn roads. 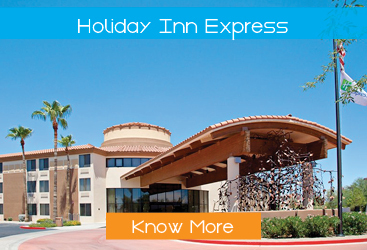 This is the most active and popular nightlife destination in the Phoenix Metropolitan Area. Similar to well-known nightclub districts in other major cities, much like Atlanta’s Buckhead district and Miami’s South Beach, most of Downtown Scottsdale’s major bars and clubs are generally located within walking distance, often providing a vibrant and buzzing scene during most evenings. Thursdays through Sundays being the most active, as crowds of over 40,000-strong are known to congregate to this area. To raise its national nightlife profile further, Scottsdale recently began hosting the annual Scottsdale’s Ultimate Block Party on New Year’s Eve. The growing New Year’s Eve party routinely attracts over 25,000 people. vFrom classy to spirited, historic to contemporary and urban to out of the way, Scottsdale’s hotels and resorts welcome you with accommodations that are as individual as you are. Feeling adventurous? Desert tours, guided hikes and championship golf are easily accessible from any resort. And, for kids, water parks, dive-in movies and kids’ camps are sure to please. When it comes to unique experiences, Scottsdale has you covered with options that run the extent from world-class museums and a renowned botanical garden to the nation’s largest wilderness preserve. 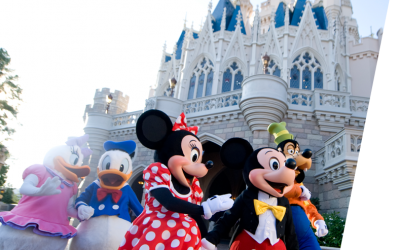 Amusement parks, an award-winning zoo and a railroad museum appeal to all ages. And if you’re craving for a taste of the Old West, the state’s largest remake of a 1880s Western town is just minutes away. 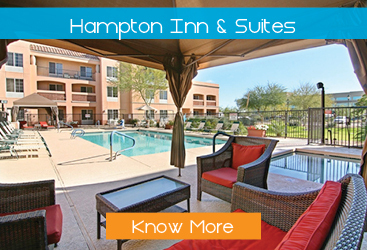 Getting to Scottsdale has never been easier! Phoenix Sky Harbor International Airport, the main facility serving Scottsdale, is located less than 10 miles from downtown and offers nearly 1,200 daily flights to and from cities around the world. Best of all, an easy 10- to 20-minute drive from either airport will get you to Scottsdale’s most popular resorts and hotels. With an array of boutique shops, fabulous dining & night life, world class golf, spas, and entertainment venues for sports and culture events, museums, theaters, and concerts.